As mentioned in my last post, I was able to visit the lab of the researchers I am working with this past week. The researchers, Tom and Heather, work at the Coatesville VA Medical Center. The lab itself was interesting for me to see. At school, it is sometimes difficult to understand that my work could lead to real-world impact; I am used to labs and demonstrations in classrooms that are solely for education purposes. Seeing this lab, however, gave me a stronger grasp on the realness of my research and future work. Walking inside of the lab building, the first thing I noticed was the lack of a receptionist, brochures, refreshments, waiting area, advertisements, and just about anything else that typically welcomes the visitor of a professional building. These first observations, however, did not leave me unimpressed. I felt, instead, a sense that this building was exactly where raw scientific research should happen. The gritty work done inside the building is tucked away from the world, surfacing only to report useful findings to the general population. Moving from room to room, I felt like I was witnessing the gears and cogs that make the scientific world function. Asides from the lab itself, I was glad to meet Tom and Heather. Each having had years of experience in labs and developing research, Tom and Heather are both great resources for Alex and me as we move our project along. Without the connection we have to them, this project would never have existed in the first place. Their commitment and collaboration is something that I am truly excited to have throughout this school year. Moving on from the lab visit, I recently came across a protein in my research that could be useful to incorporate into my own studies. The protein, P-Glycoprotein, is found both in the kidney and liver. 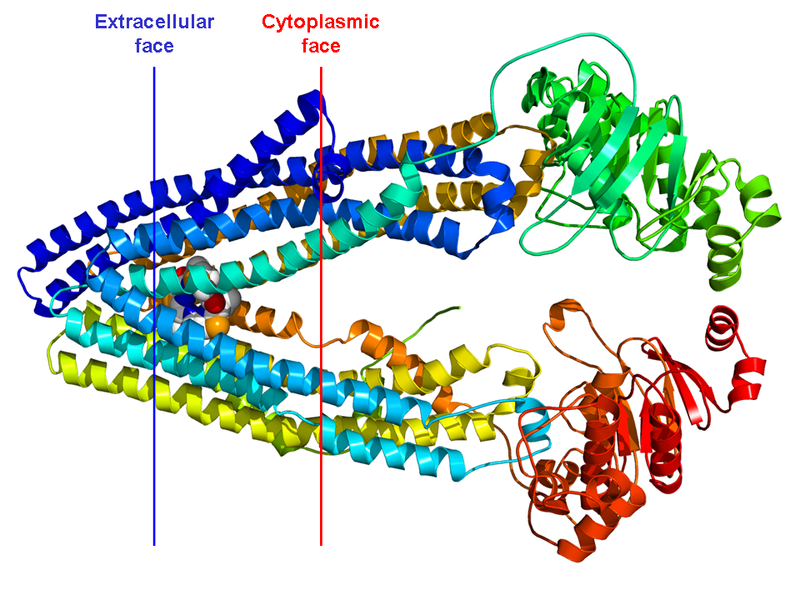 The function of this protein is primarily to pump foreign substances out of cells, which includes the chemicals found in opioids. By studying the levels of P-Glycoprotein expression in kidney and liver cells, a target area for future research could be established. If P-Glycoprotein levels differ in the effected kidneys and livers from those of the control samples, the physical effects of opioids on the body could be further understood. The mental effects of opioids on humans have been thoroughly researched, leaving a vacuum lacking information known regarding the physical effects. I hope my work will help fill this vacuum in the future. This entry was posted in Science and tagged heroin, Independent Seminar, kidney, labs, liver, mice, morphine, opioids, p-glycoprotein, westtown school on September 28, 2014 by tmlutkus. I definitely know what you mean about the false-reality being at school. People often say Westtown is a bubble, and it really is in many more aspects of student life than most people realize. It is hard to see anything we do as being applicable to the real world. The lab visit sounds like a great, eye-opening experience; a glimpse of what your research actually means and the connection outside the bubble. I’m looking forward to following your progress.